Samuel Lane has grown up in the Vineyard church, pouring his life into crafting songs that draw people closer to God. For twenty years he has continued to refine his songwriting, exploring musicality and faith in worship and has developed a standard for songs that feature uncompromising honesty, matched with a simplicity and authenticity that draws you towards the Creator. 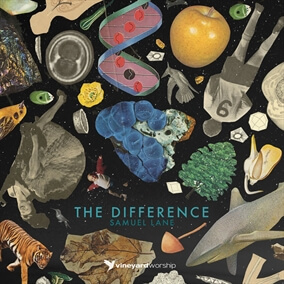 Vineyard Worship UK & Ireland has just announced the release of Samuel's new album The Difference, which introduces 10 brand new Vineyard songs including co-writes with Brenton Brown, Bobby Hartry and Sam Yoder. The story is one of looking to Jesus. When we fall short, He offers His hand. When we are weak, He is our strength. When we fail, He is the difference. Each song has been crafted with intensity and rawness, and they are sure to encourage listeners to deepen their relationship with God and desire more intimacy with Him. The Difference is now available on iTunes and you can find the Original Master MultiTracks and instrument parts in RehearsalMix for the album here on MultiTracks.com.